Integrate any Modbus RTU or TCP Slave device, or both at the same time, with a BACnet BMS or any BACnet IP or BACnet MS/TP controller. 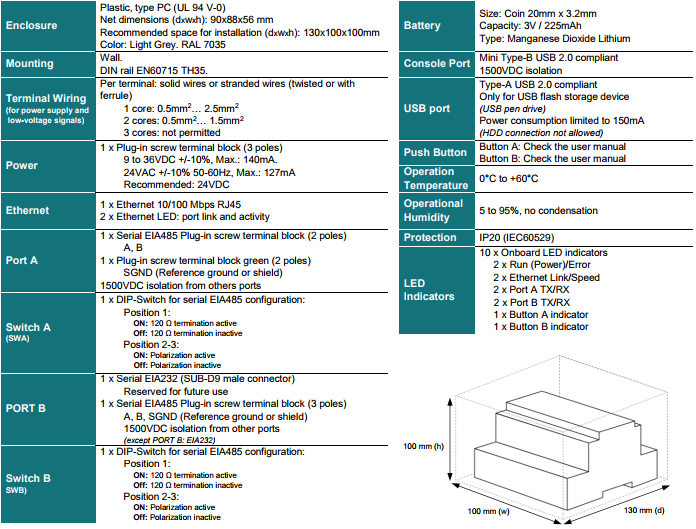 It fulfills B-AAC BACnet profile. BTL approved. The aim of this integration is to make accessible Modbus system signals and resources from a BACnet, based control system or device as if it was a part of the own BACnet system and vice-versa. The gateway acts as a BACnet/IP Server or BACnet MSTP device in its BACnet interface, allowing other BACnet devices to perform subscription (COV) requests and reads/writes to its internal points. 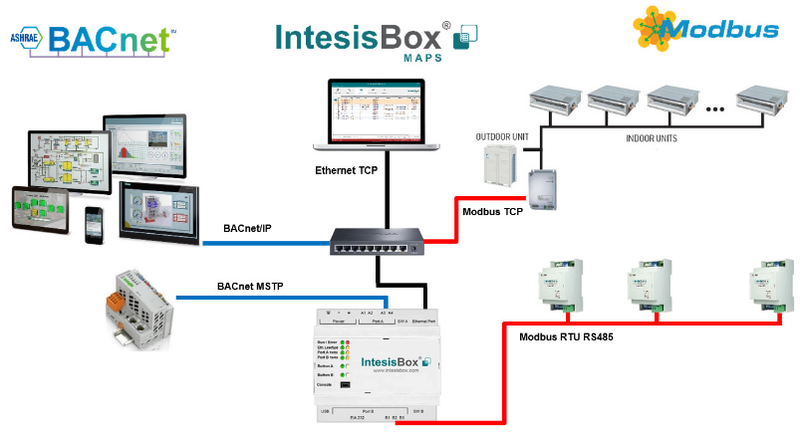 From the Modbus point of view, IntesisBox simulates a Modbus RTU Master device and or Modbus TCP Client device. Readings of the Modbus slave device(s) is performed by IntesisBox by automatic continuous polling.